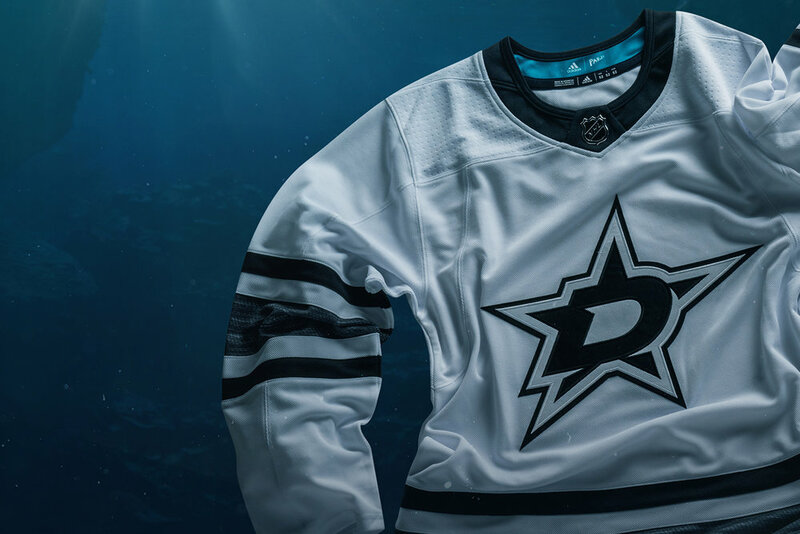 When NHL stars hit the ice for All-Star Weekend on January 25th in San Jose, they’ll be sporting the new eco-innovative and first-ever jerseys made from repurposed and upcycled materials created in partnership with Adidas and Parley for the Oceans. 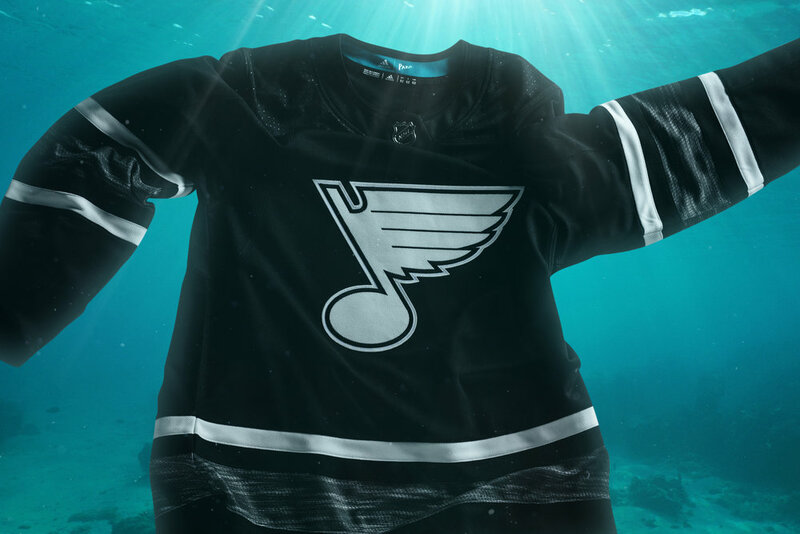 Somewhere in the vast oceans beyond Pittsburgh and San Jose, there are a bunch of Penguins and Sharks smiling at the thought of the NHL, Adidas, and Parley coming together to make history. 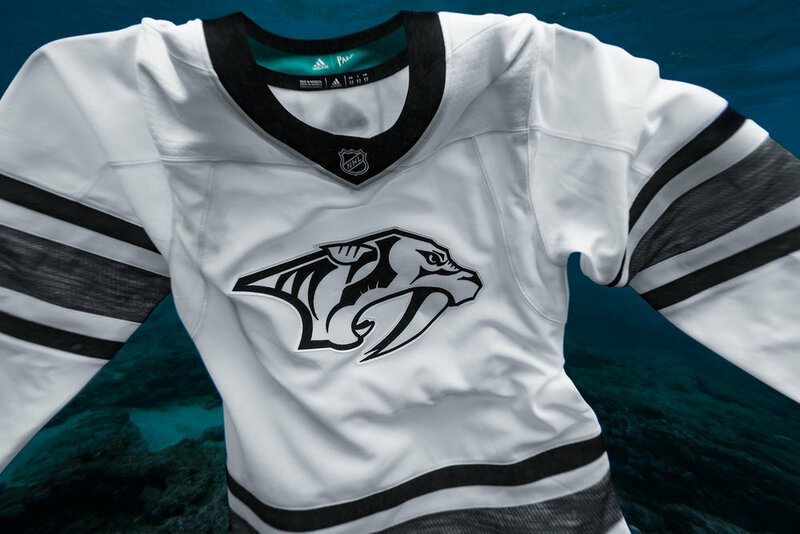 In a ocean-inspired and eco-friendly move toward sports apparel and team jerseys, players taking the ice for the 2019 NHL All-Star Game and Skills Competition will wear Adidas jerseys made of recycled marine plastic materials the brand and NHL announced. 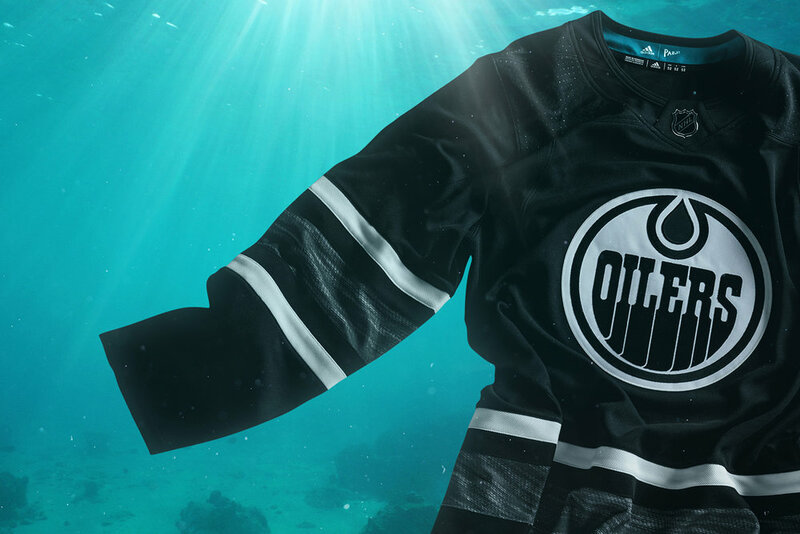 In partnership with Parley for the Oceans — an environmental organization that aims to raise awareness of pollution affecting the world’s oceans — Adidas will be tasked with collecting plastic debris found in the ocean and repurpose items such as plastic bottles and other plastic waste to create the NHL All-Star jerseys. 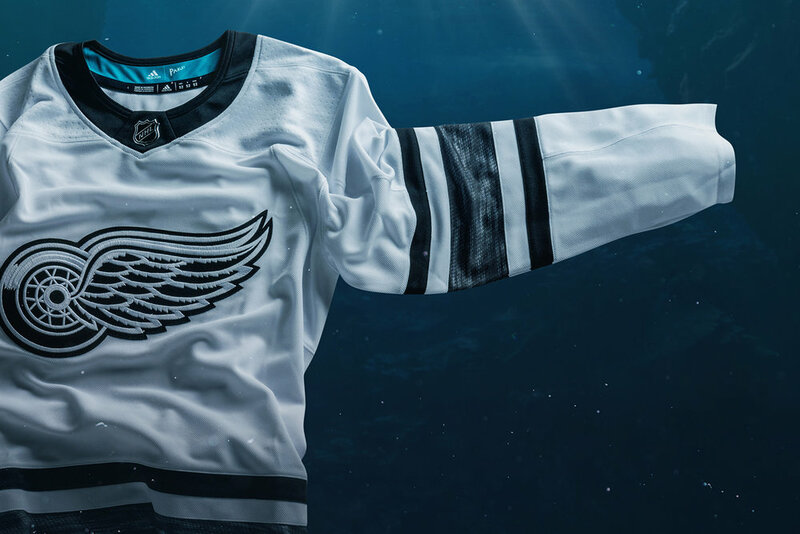 The polyester fibers contained in the plastics are then used to produce the “durable yet breathable” fabric for first-ever NHL jerseys made of recycled materials. The new special edition “Adidas ADIZERO Authentic Pro x Parley jerseys” will be worn for the 2019 SAP NHL All-Star Skills event on Friday, January 25 and for the 2019 Honda NHL All-Star Game on Saturday, January 26 at SAP Center in San Jose, California. The clean and simple look of these refined jerseys — black and white to tie into the game of hockey itself (black puck, white ice) not only stands out as for the first time players will wear All-Star jerseys with their respective team logos, but the NHL has also set a precedence for other leagues to follow with environmentally-conscious uniforms. Is this a trend that will carry over to the NBA, NFL, MLB, MLS, or even college sports? You might call in ground breaking. The NHL might call it a slap shot of success in creating awareness about taking care of the environment through the game with long-term change. 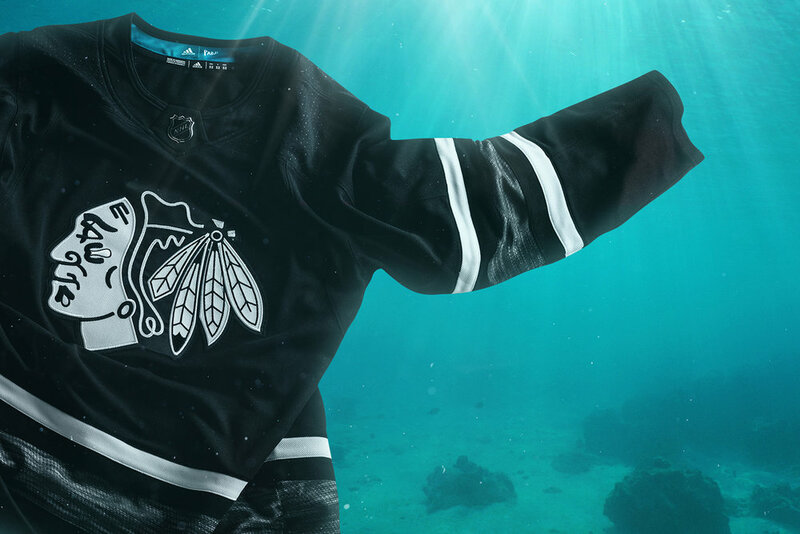 In the end, it’s another sign of how creativity and elements of design know no limits, even when it comes to produce quality sports apparel for sports teams and leagues.